We reconstruct and renovate interiors not only in historical buildings. 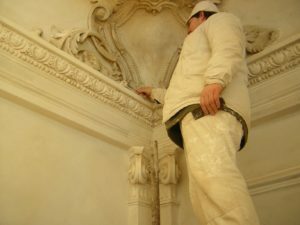 We specialize in classical stucco decoration but also in restoration of old interiors. We try to combine historical approach and modern lifestyle carefully with understanding.